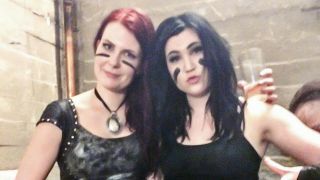 Ensiferum keyboard player Emmi Silvennoinen has left the band and been replaced by Netta Skog. The Finnish folk metal outfit announced the change in a Facebook post, with Silvennoinen saying she is stepping down for family reasons. Electric accordion player Skog is now onboard as a permanent member after a year as a touring musician. Silvennoinen says: “Many of you have probably noticed that during the last year I have missed lots of gigs and now it’s time to put an end to all rumours. “For family reasons, I have to step aside from Ensiferum. It’s been an amazing nine years. I have learned and seen so much all over the world. This decision was not made lightly. Ensiferum released their sixth album One Man Army in 2015. The band have a number of tour dates lined up for 2016.